It's not like I like tsundere's or anything, I'm just interested in anime history okay?! I just happened to be on the site, so don't get the wrong idea! Geez, j-just tell me who the first tsundere was already, baka. EDIT: For clarification, I'm looking for the first known character that expresses tsundere qualities, rather than the first character that was labelled tsundere. 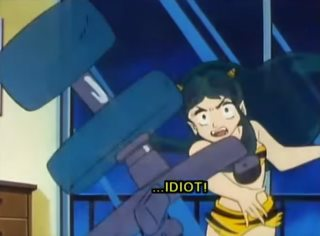 Urusei Yatsura started manga distribution in 1978 and Lum's cold exterior (but in actuality being kind and loving) accrued her the title. 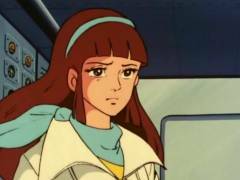 However, Sayaka Yumi from Mazinger Z (1972) appears earlier in history than Lum, despite the popular support for Lum's claim. Sayaka, whilst generally a pleasant character, is brutish and brash towards the main character's affections - despite having a crush on him. "Tsundere" is a rather new term which came into popularity in 2005, and an early account of its use was in 2002. Thus, to apply the term to any character created before 2002 or so, a tsundere would be categorized as such retroactively. 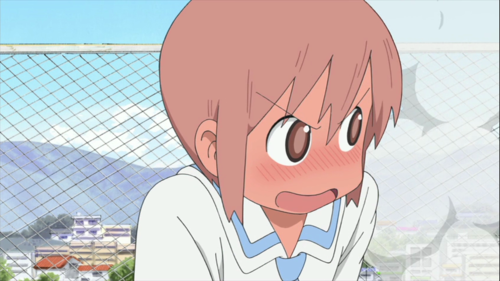 In this case, the character was not techincally tsundere when it was created, since the mangaka/director/whoever did not consciously have the concept of tsundere in mind at that time (we could say that the character became tsundere afterward, since tsundere wasn't a thing at the time that the character "lived and breathed"). The character type has existed for a long time, but Japanese fans might disagree on who is the earliest character to whom the label could be applied to. It is likely that the term would not be bothered to be applied to characters from obscure series or to supporting characters from early anime works simply because those characters are not famous, even if they would fit the definition. So it is very debatable to declare which character is the earliest tsundere, unless Japanese fans settle upon a generally-agreed list of which older characters count as tsundere. To assess this based on English-language sources would be to rely on the opinions of otaku from non-Japanese worldviews/cultures to delineate which characters are retroactively tsundere and which are not. This is problematic, because 1) tsundere is originally a Japanese concept and thereby should be mainly fleshed out by people within Japanese culture, who are not yet generally resolved on a standard definition of tsundere (from the Japanese Wikipedia: 「現在ではインターネットスラングを起源とするとされ、そのため定義も多様で、確定していない。」 ["Since the origin [of the word] is internet slang, there are a variety of definitions, so [the meaning] is not firmly determined. "]), and 2) the further back in anime history we go, the less anime was exported to non-Japanese audiences, which means that the selection of early characters that global fans have been exposed to is likely far more limited than the number of characters that long-time Japanese anime fans are familiar with. This means that the earliest character that an international fan can recall might not be as old the earliest character a Japanese fan could be aware of. So it seems ambitious/pretentious to assume that a character well-known internationally actually happens to be the earliest tsundere, since another character which never became known or popular outside of Japan in the 70s (for example) might be an earlier tsundere than any renowned character.